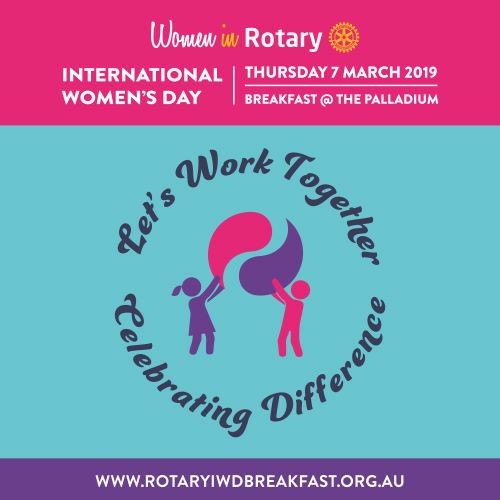 Now in its 8th year, Women In Rotary celebrates International Women's Day with a fabulous breakfast, with an exciting panel with a Moderator and MC for the event. A vibrant discussion addressing the issues of gender diversity in the workplace, with take back to the office tips to make a difference in the workplace. This is a not for profit event, with the proceeds supporting charities. Please visit website for more information and to book.